Norway could mark its first long Easter holiday this weekend when its state monopoly of wine and liquor stores, Vinmonopolet, didn’t stay closed all five days, from Thursday through Monday. The stores were to re-open on Saturday, known as påskeaften, because of a liberalization in the law, but that may not be enough to ward off what Health Minister Bent Høie worries is a bigger threat to the state monopoly itself. All Vinmonopolet stores in Norway, popularly referred to a “Polet,” will remain closed Thursday and Friday, both legal holidays in the country, along with Sunday and Monday. Saturday, however, is not a legal holiday and for the first time, the state liquor stores will reopen because of the liberalization that allows them to now do so on the “aften” days before New Year, Easter and Whitsund. A major contract renegotiation with Vinmonopolet workers also cleared the way for staffing on after they secured double overtime pay if they volunteer to work on påsekaften plus two extra days off if they don’t. Now Health Minister Høie is concerned, however, that recent decisions by Finland and Iceland to loosen up their own strict regulation of alcohol sales may undermine Norway’s state monopoly of the wine and liquor market, which has long been at odds with the anti-monopoly regulations of the European Union (EU). The Norwegian state-controlled chain of retail outlets for alcoholic beverages, Vinmonopolet, has only survived the EU’s ban on such market control because of the similar monopolies in other Nordic countries. 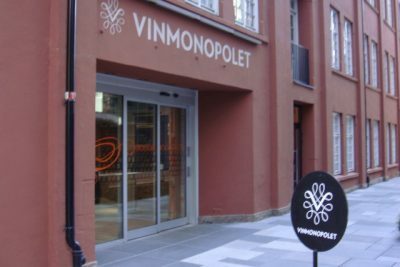 Vinmonopolet in Norway is both loved and hated by many Norwegians, who praise its large selection and service-minded personnel but dislike its high prices that are mostly due to punitive state taxes on alcohol. Vinmonopolet nonetheless continues to enjoy an unusually high level of popular and political support, and several proposals to allow wine sales in grocery stores, for example, have been turned down for fear selection would decline. Now Iceland’s government has proposed phasing out its state alcohol monopoly by 2018, while Finland (which is a member of the EU) is proposing several changes of its own. Newspaper Vårt Land reported that they include raising the alcohol level of what’s allowed in commercial stores to 5.5 percent, and clearing the way for pubs and restaurants to sell bottles of alcoholic beverages directly. Høie fears that if the changes in Finland undermine its monopoly, “Norway and Sweden will be the only countries left with a Vinmonopolet system.” In Sweden, which is also a member of the EU and has lower taxes and prices on alcohol than Norway, the monopoly is called System Bolaget. Norway is not a member of the EU, but like Iceland, the country has still had to comply with most all EU laws and regulations through their agreement (the so-called EØS-avtale) that allows Norway access to the EU’s inner market. Norway, like the other Nordic countries with wine and liquor monopolies, received special permission to retain it on the grounds it was an important part of local health policy. Now Health Minister Høie worries it will be more difficult to justify and defend Vinmonopolet’s and System Bolaget’s existence if Iceland and Finland abolish their own monopolies. He noted that several other EU countries are tightening their policies on alcohol sales, calling it “a paradox” if the Nordic countries end up going in the other direction. Høie said he planned to discuss the future of the wine and liquor monopolies at a meeting of Nordic ministers in May. It’s likely his counterparts in Finland and Iceland will be questioned about their alcohol liberalization, and that he’ll lodge Norway’s concerns.